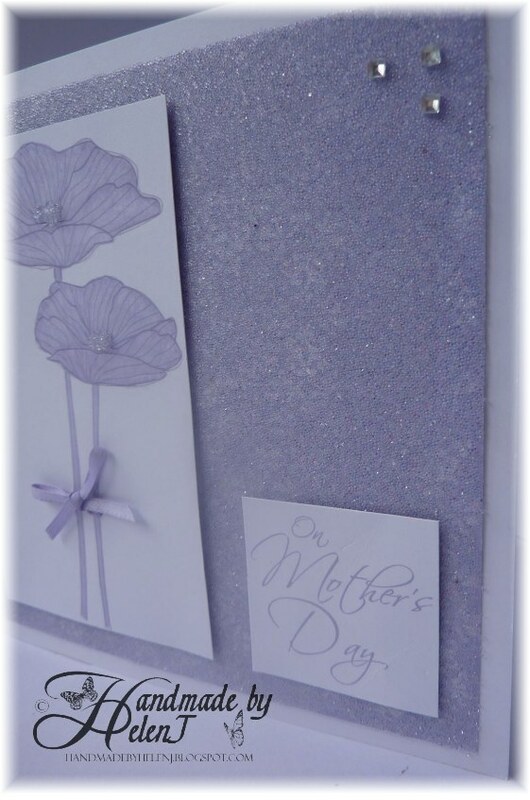 This is my card for my lovely Mum and, as often happens, the end result doesn't remotely resemble what I'd planned! 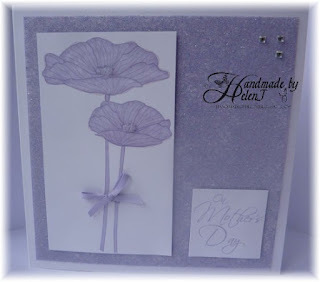 I fell for the Sketchy Flowers set at Digistamp Boutique and loved the card Kerry Cox (aka Pickle) had made, so intended to do something similar. Once I'd got going, though, I decided to colour one of the flower images using a Lavender Promarker; I imported the image into Craft Artist 2 Professional and recoloured it. When I'd finished colouring the flower I decided it was too "flat", despite shading & blending. As an experiment I went over the flower with short strokes of a Copic Blending Pen as I know that, unlike the Promarker Blender, it tends to bleach the colour out and I quite liked the resulting effect. 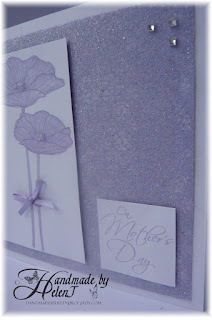 Still in Craft Artist 2 Professional, I recoloured some backing paper to match & made the word art. 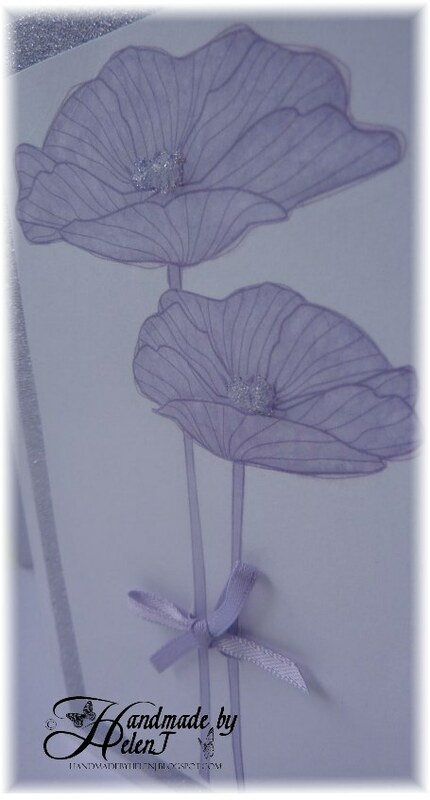 I cut a couple of slits in the card either side of the flower stems & threaded some matching ribbon through before tying it in a bow. Once the card was assembled it looked ok but just not quite special enough. Then a discussion about micro beads on the Docrafts forum made me realise what was missing - a bit of bling! I took the card apart & used some Glossy Accents to attach some Sweet Poppy Clear Micro Beads as flower centres. Then I covered a new piece of backing paper in double sided adhesive sheet & attached the micro beads to that. Although I think the beaded flower centres work well, the subtle pattern on the backing paper doesn't show through the beads so I'd use a stronger-patterned paper next time as it was an easy technique to do.